2) The most upwardly mobile cities are Salt Lake City, for moving into the middle class, and San Jose, Ca., for moving into the top quintile. Here are the top ten cities for the American Dream, ranked by absolute (child vs. parent) upward mobility. 3) The losers are the Southeast and Rust Belt (the entire regions, basically) and Charlotte, North Carolina. 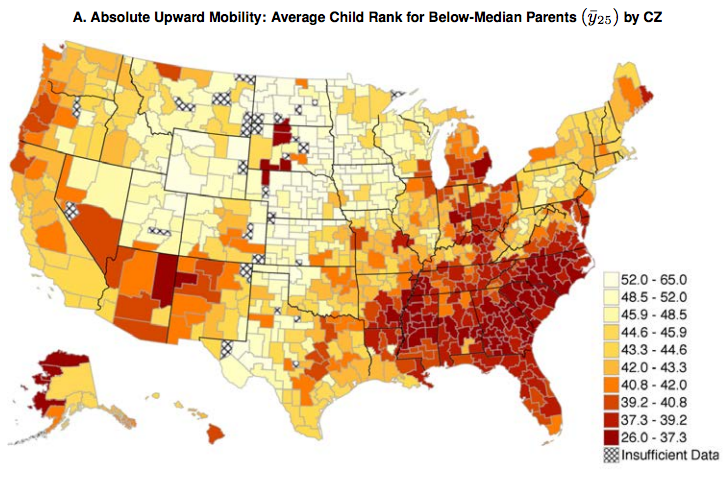 Here are the ten worst cities for upward mobility. 4) Although the map looks like it's colored by region, there are some huge differences between cities and areas that are just miles away from each other. 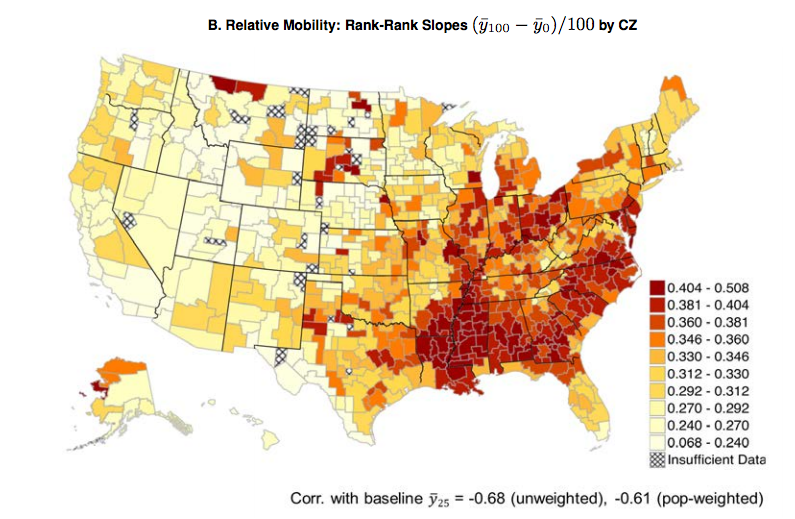 For example, many Texas areas have high rates of upward mobility, unlike the entire South. Pennsylvania has many upwardly mobile cities, but Ohio fares poorly. Ohio has much lower rates of upward mobility than Pennsylvania. 5) The race composition of your area seems to matter—not just the race of your family. "Both blacks and whites living in areas with large African-American populations have lower rates of upward income mobility," the researchers write.